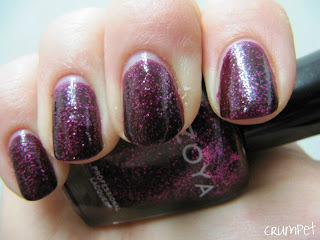 The Crumpet: Zoya Roxy - Crumpet Top 10 Changer! 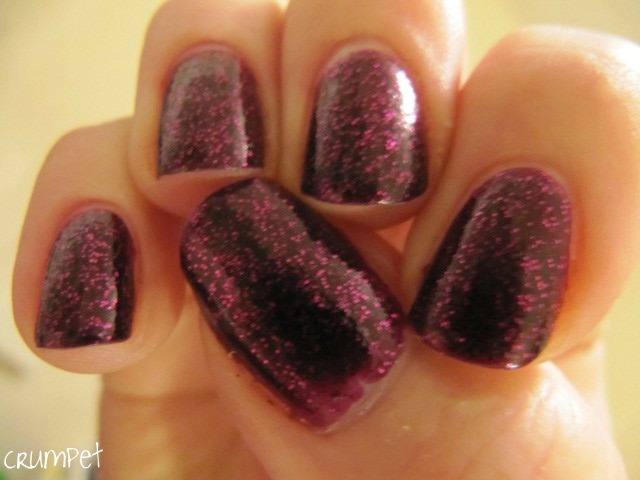 Well, this little beauty was going to be my 200th post, but then I decided you deserved some not very arty Crumpet nail “art”, so she got bumped down the list a little. 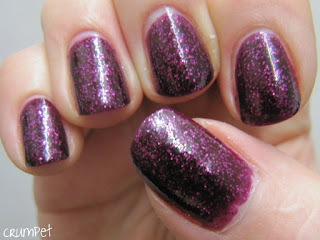 But here she now is, in all her CONSIDERABLE glory. 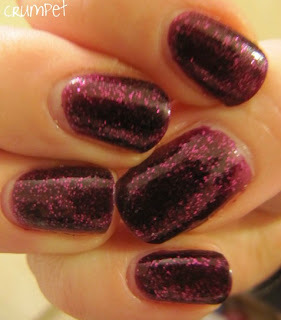 This is a love-at-first-swatch polish which has crash landed into my Top 10 of All Time. 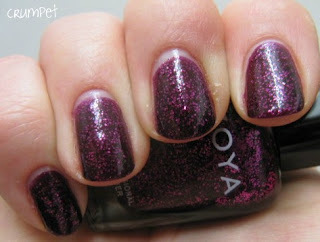 Goddesses, I bring you ….. Zoya Roxy. Roxy is just sensational, and she’s everything I thought China Glaze’s Mummy May I was (this is the polish she has replaced in the Crumpet Top 10). Annoyingly, she’s really hiding her sparkle in most of these photos, but believe me, she is WOW. 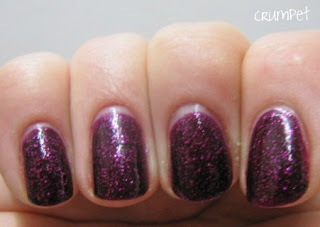 Roxy is like disco blackcurrant jam. She has a deep, rich cerise base which is a blend of burgundy, magenta and beetroot juice, which is speckled with bright fuchsia glitter. I used 2 layers and I could not love this more. 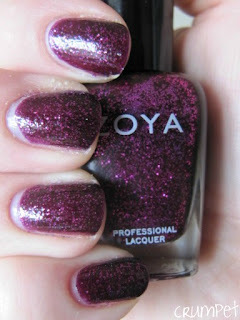 This is a seriously beautiful polish, possibly the prettiest Zoya I own. 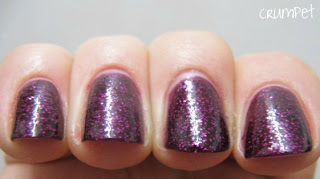 She’s playful, dazzling and intense in equal measure, and I cannot stress how deeply pigmented this polish is. 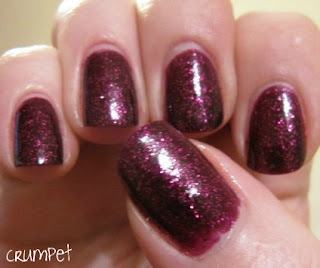 Roxy is beautiful and officially my 8th favourite polish of all time.